This was a wonderful story about discovering the strength within. Mandy sets off for Africa believing her world shattered after her fiancé dumps her for a younger woman. She has sworn off relationships, believing she will never trust again. While in Africa, she discovers a beautiful, enchanting world filled with wild animals, colorful birds and intriguing plant life. Her ruggedly attractive Zimbabwean guide (Peter) opens her up to a new world of adventure and love. Unfortunately, tragedy soon strikes. Mandy is abducted by ruthless men while visiting a secluded area of the outback. She makes a harrowing escape only to find herself lost and alone. As she embarks on a dangerous journey in search of Peter and civilization she must survive encounters with wild animals, dangerous plants and even a brush with Mother Nature all the while avoiding murderous poachers and trigger happy soldiers in the area. Ms. Lockner does a wonderful job describing the exotic plant and animal life indigenous to Africa. She vividly depicts the beauty and danger present in the African outback to such a degree the reader feels like they are actually there. I would highly recommend this book to others and look forward to reading other titles by this author. 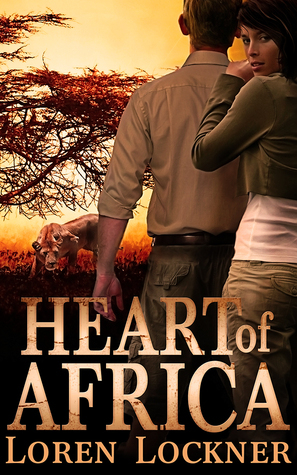 Sign into Goodreads to see if any of your friends have read Heart of Africa.